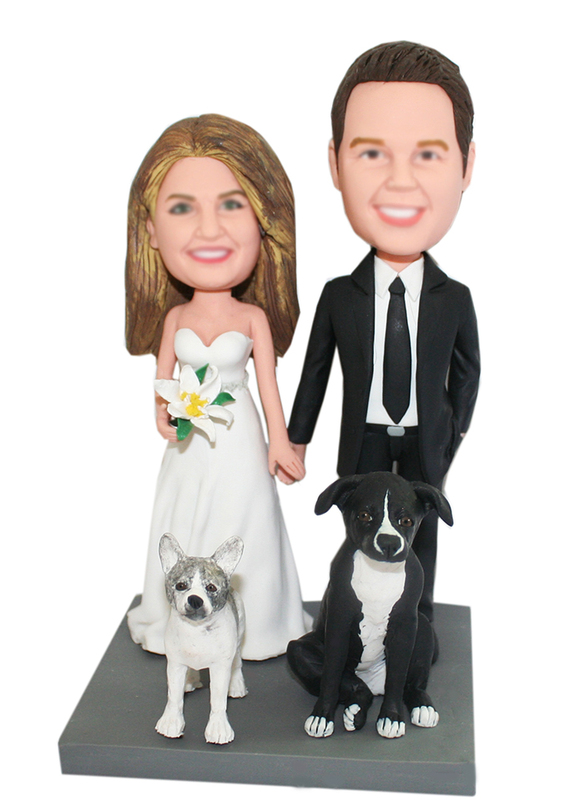 Custom bobblehead wedding toppers,Make your own bobble heads.Wedding anniversary gifts. Want to present a very very special gift on the wedding ceremony? This custom newlyweds bobbles will be a good option to make your gift unique. By making the groom and bride's face bobbling on the black tie wedding bodies, it will hit the ceremony with big fun.Custom bobblehead of a couple hand in hand with their favorite cat & dog stand front waiting for photographer to say cheese.How happy it is!They don't need to talk a lot, but know each other clearly by just a easy smile or a slight sign. If you happen to have this type of friends and they happen to get married, this custom bobbleheads are pefect to be a wedding cake topper for them. 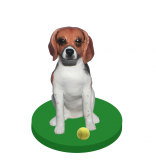 Just wanted to thank you for all your work on the bobblehead we ordered. It looked great and the recipient loved it. Well done and thanks. Seller created the look-alike cake topper for mine & my husband's wedding. The detail was amazing! He worked well with me on the critiques I had during the process. The dog we added to our caketopper was adorable and made with great detail too! After the wedding, someone broke the bouquet/arm off my caketopper. I would definitely recommend!